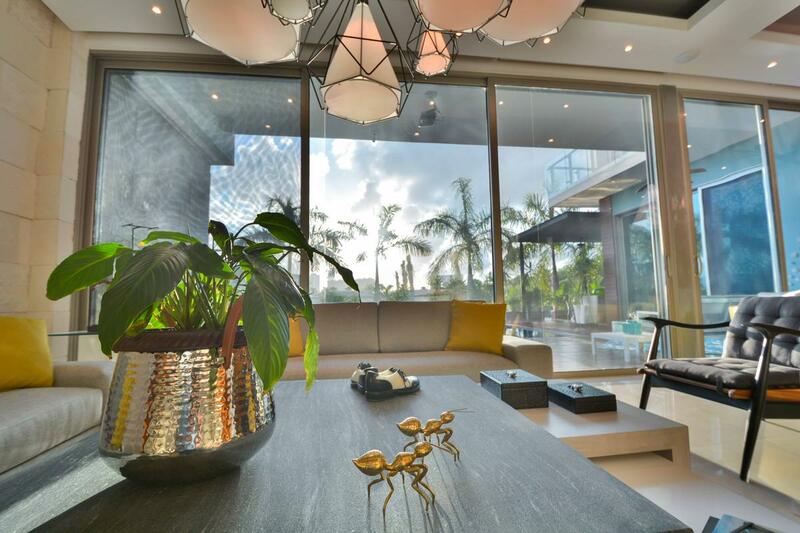 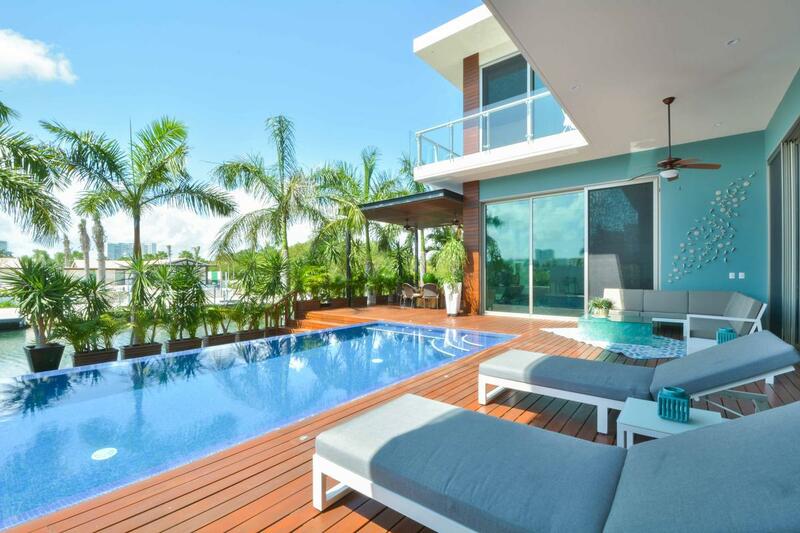 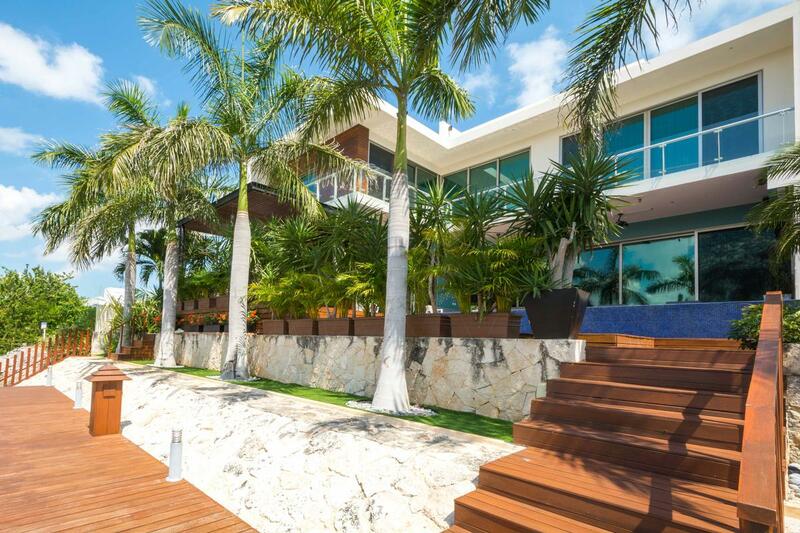 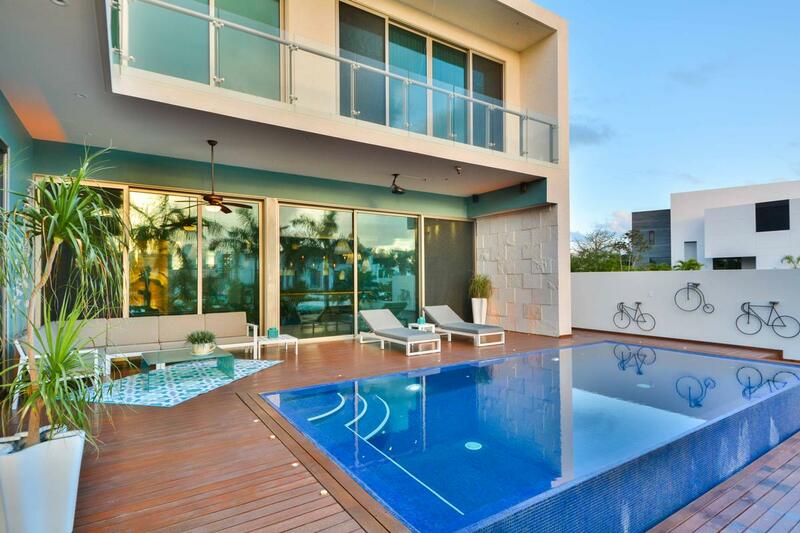 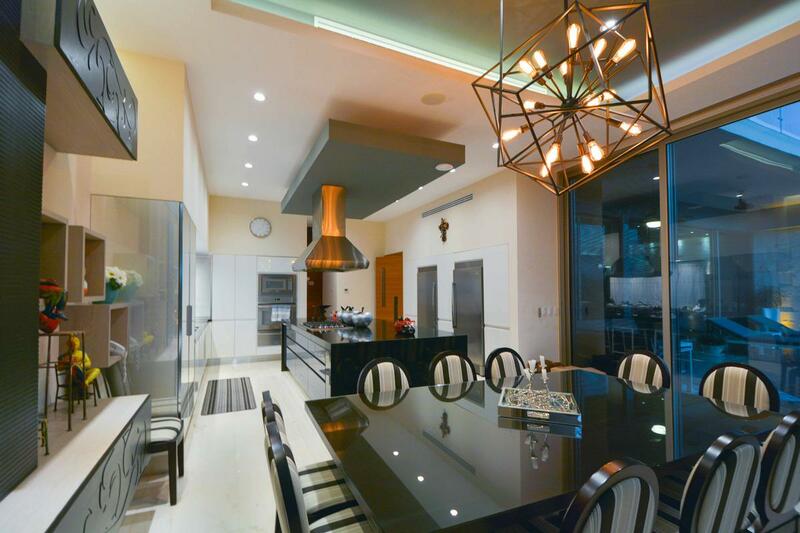 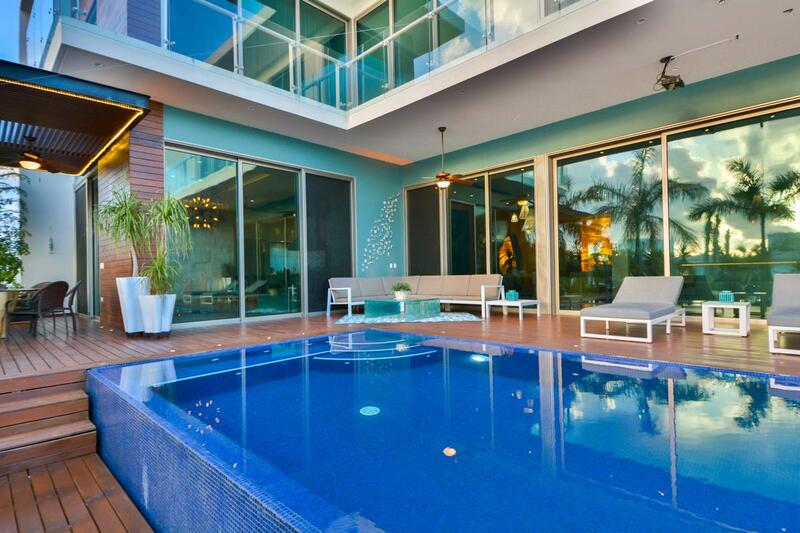 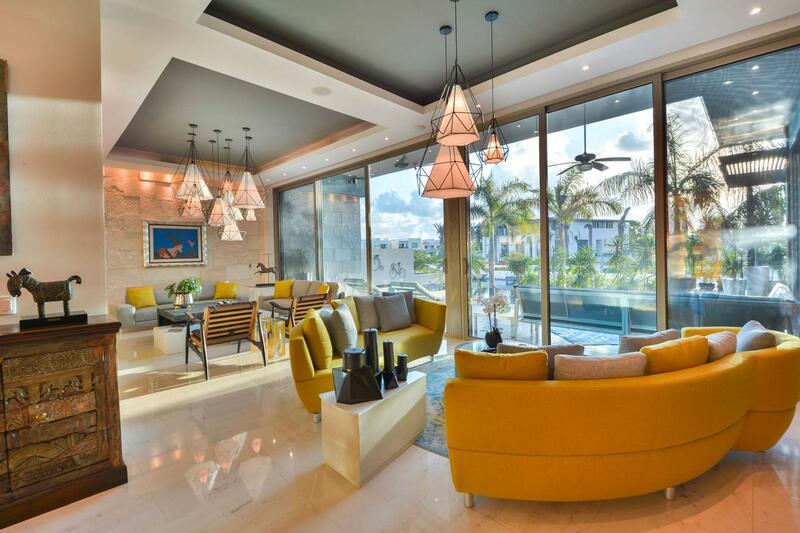 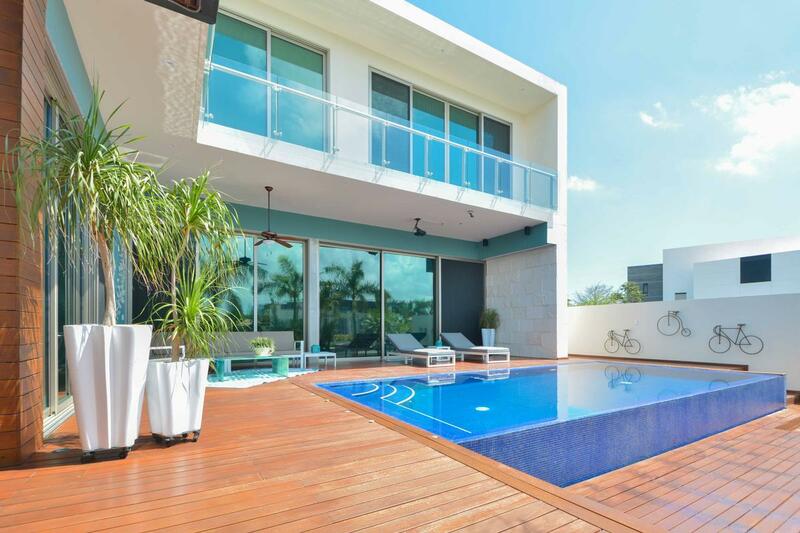 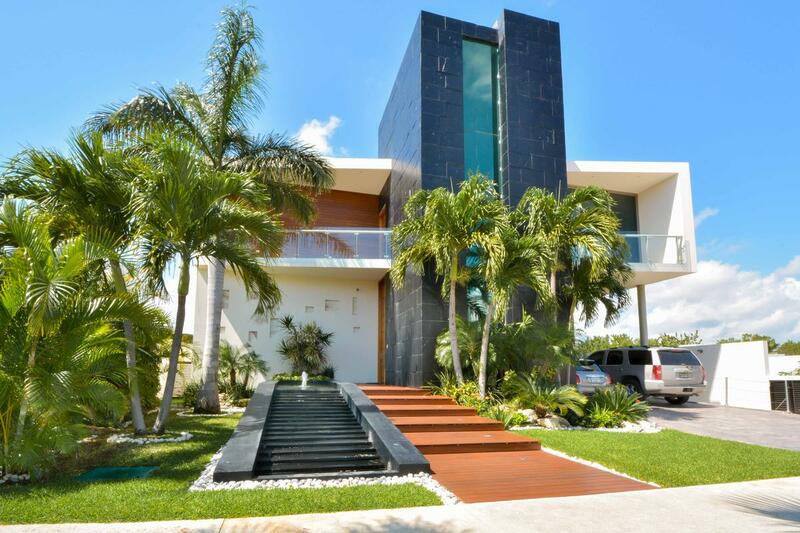 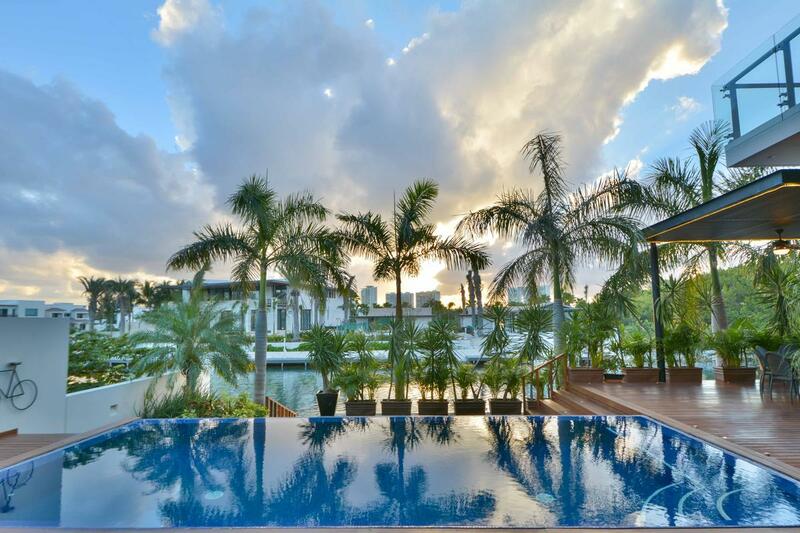 Spectacular Designer Home in Puerto Cancun. 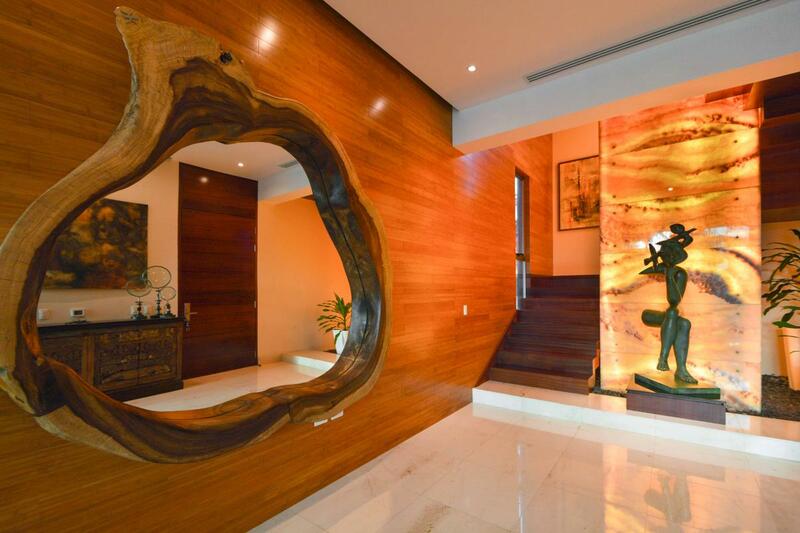 This unique residence of 6512 Sq.ft on a 6000 Sq. 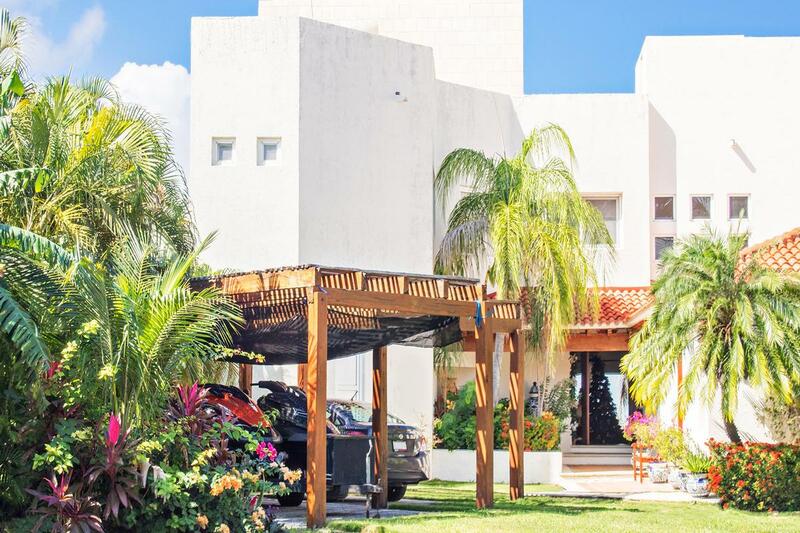 ft lot offers three bedrooms, canal front and is a ‘one of a kind’ opportunity for owning a fully furnished ‘turn key’ home. 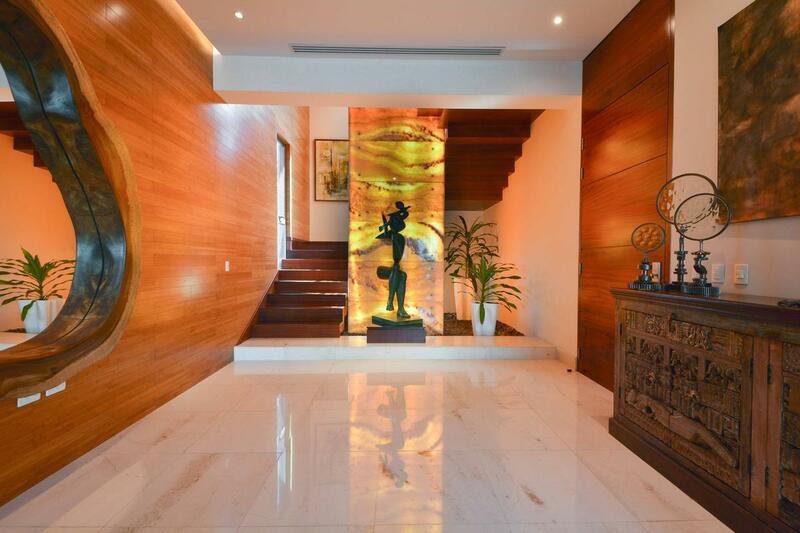 It’s prime location on one of the best spots in this gated community and a well thought out architectural concept gives it great privacy. 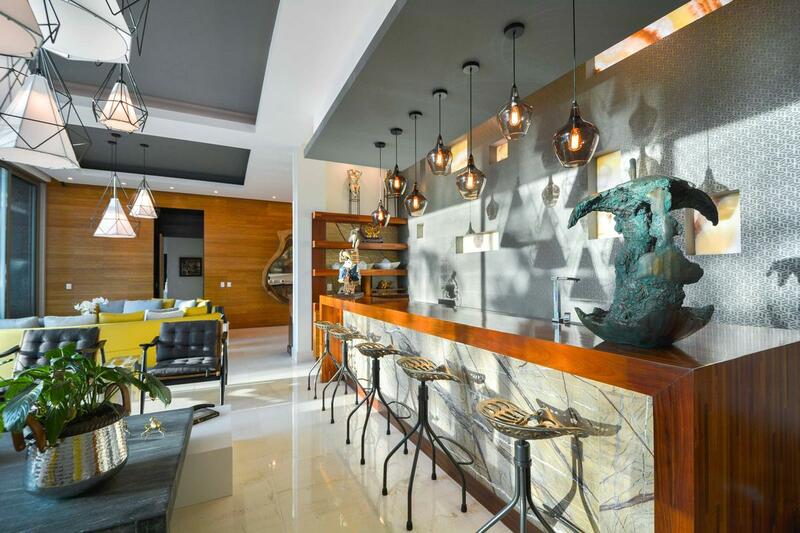 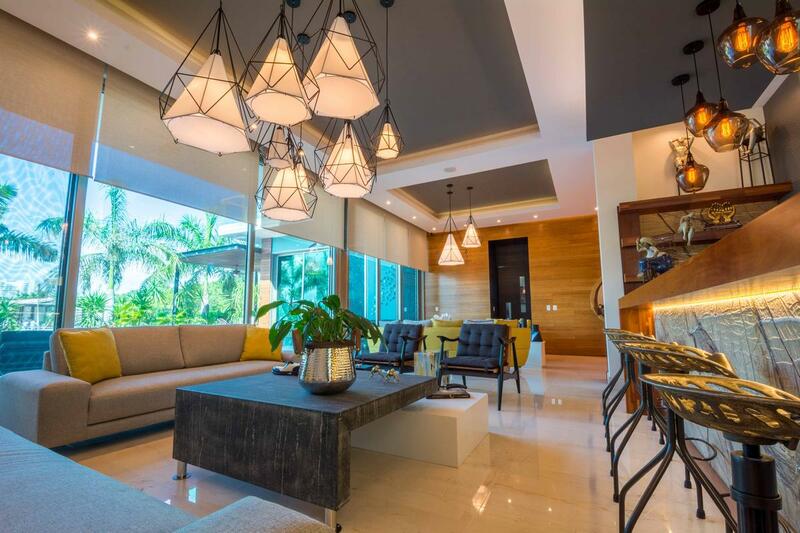 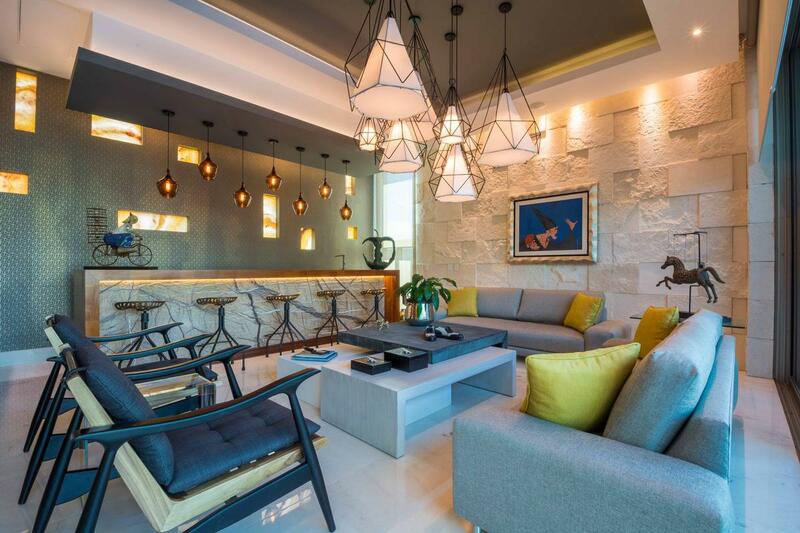 It is located inside Cancun’s modern high end gated development ‘’Puerto Cancun’’, one of Mexico’s most exclusive Marinas, which offers residential and commercial amenities. 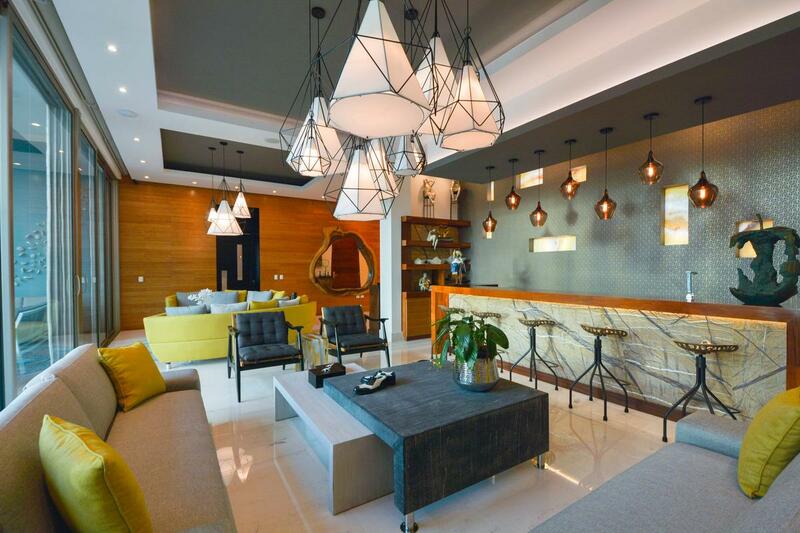 A new spectacular Marina Mall has just opened its doors offering the best international and local stores and many new restaurants and bars offer great food and entertainment around the marina walks. 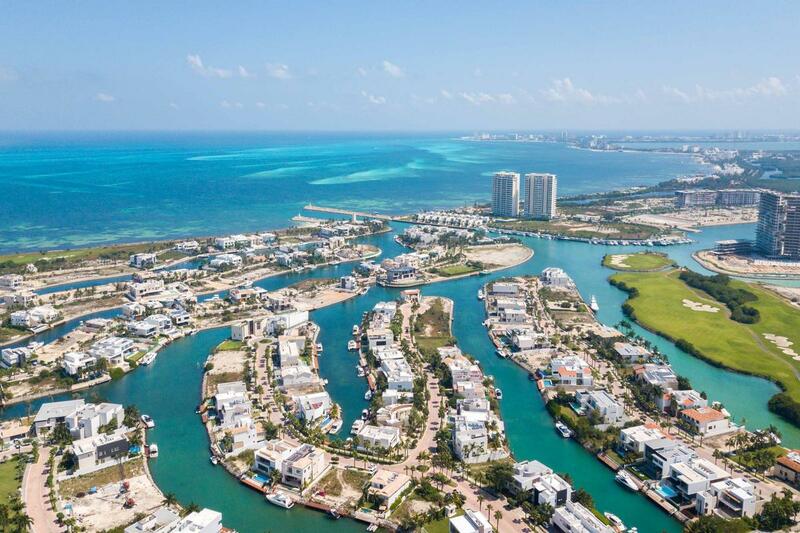 Puerto Cancun is right between Cancun’s famous ‘Hotel Zone’ and Down Town’ in the very best location. 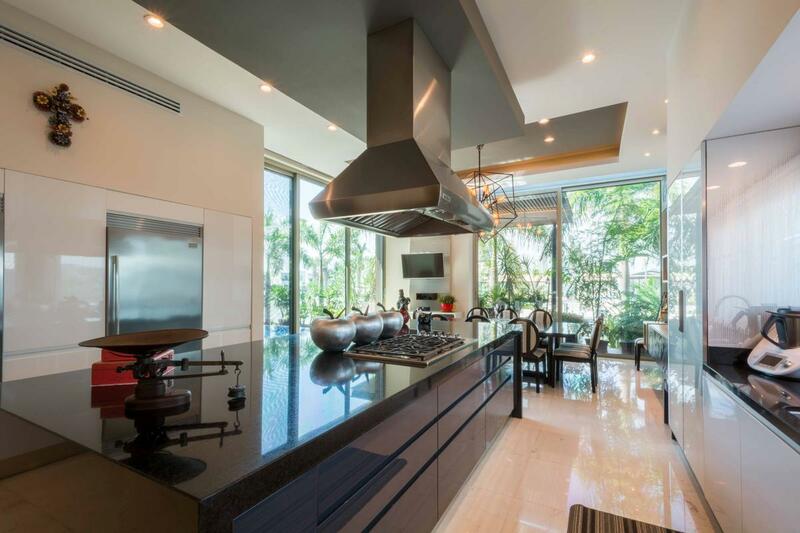 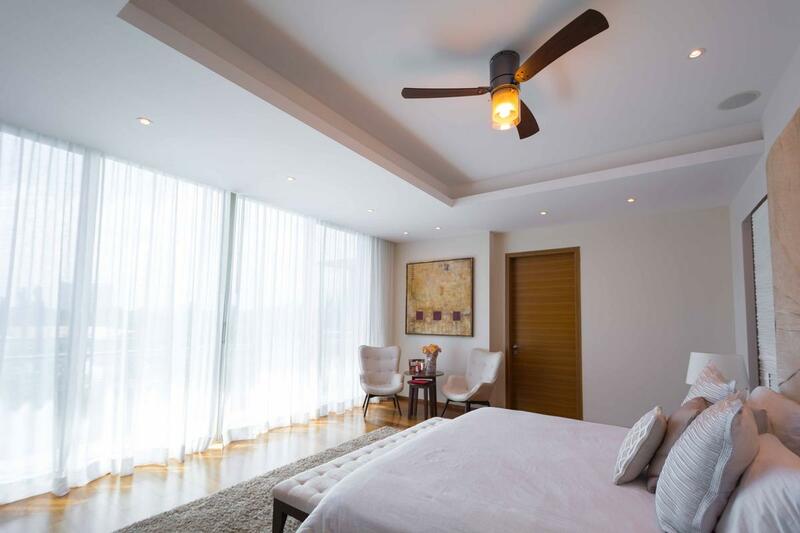 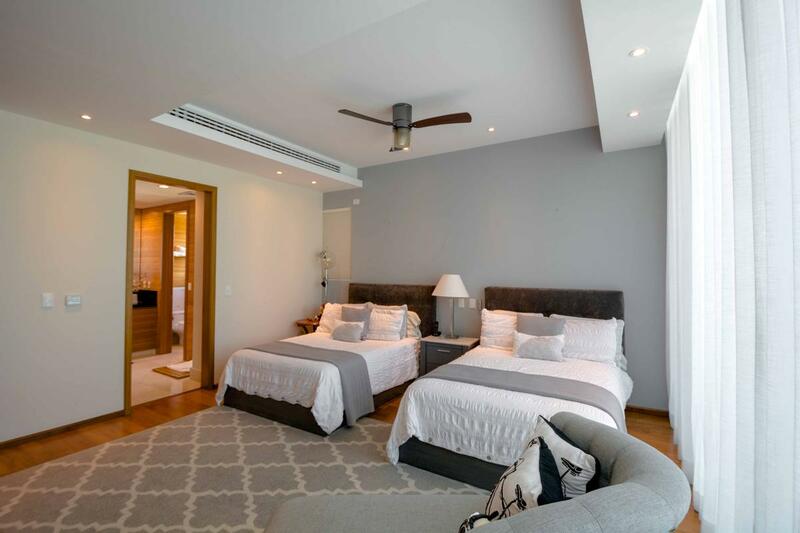 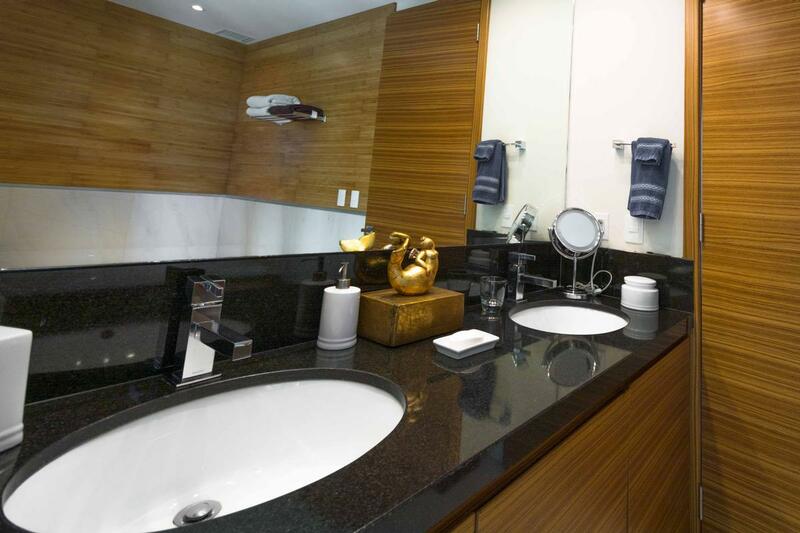 The residence is very well thought out and designed with a lot of luxury details, and furnished with great taste. 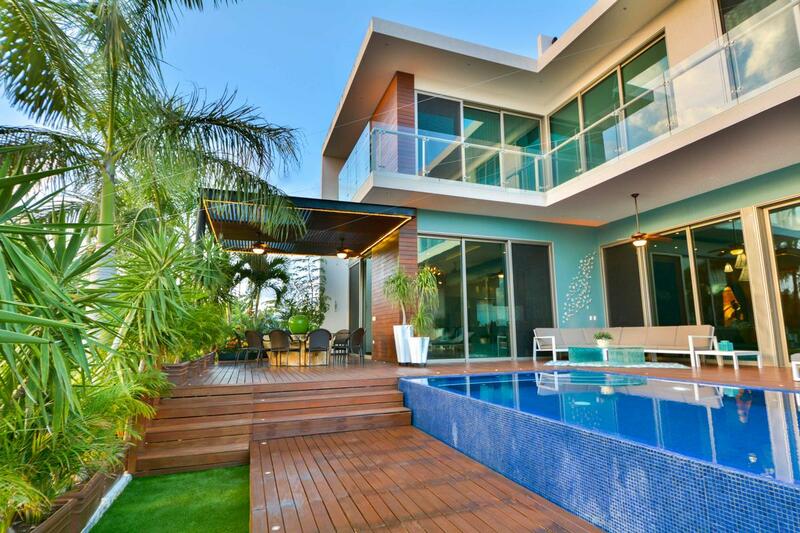 It’s in ‘’ready to move in’ condition. 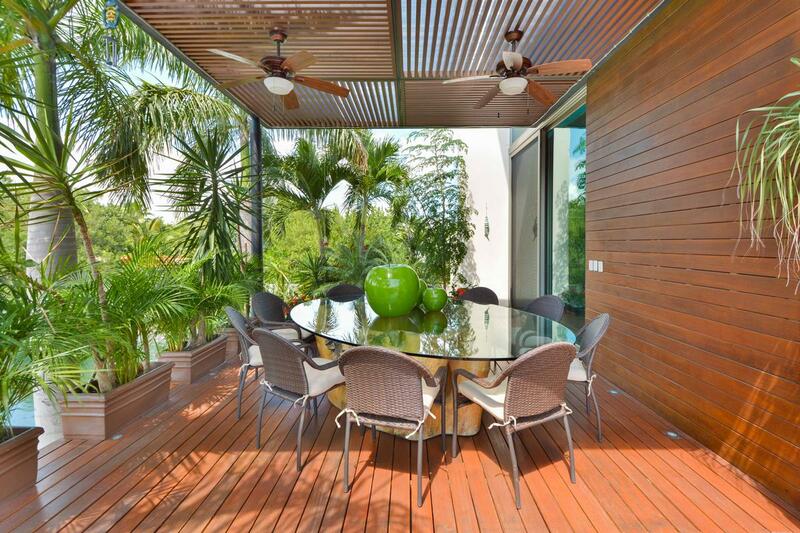 The location of this canal home is inside a private gated residential development with 24 hour security control. 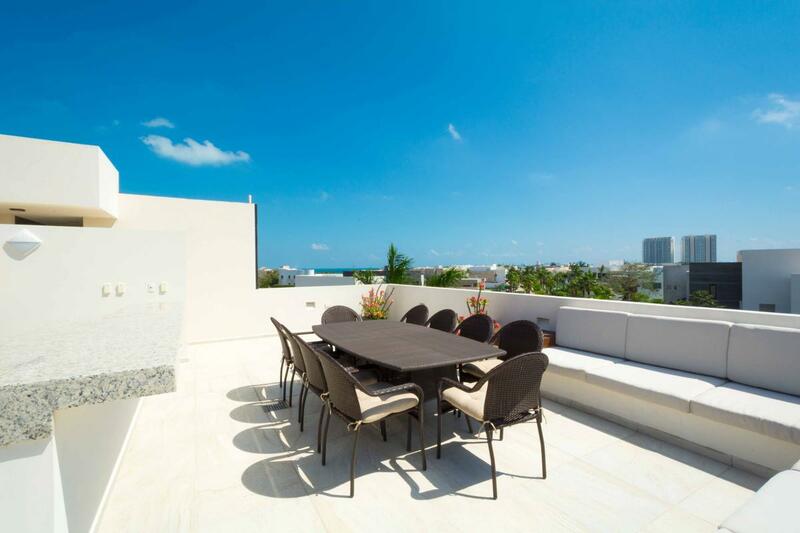 The large terrace has a pool and a wooden sun deck and offers a very private outdoor dining area. 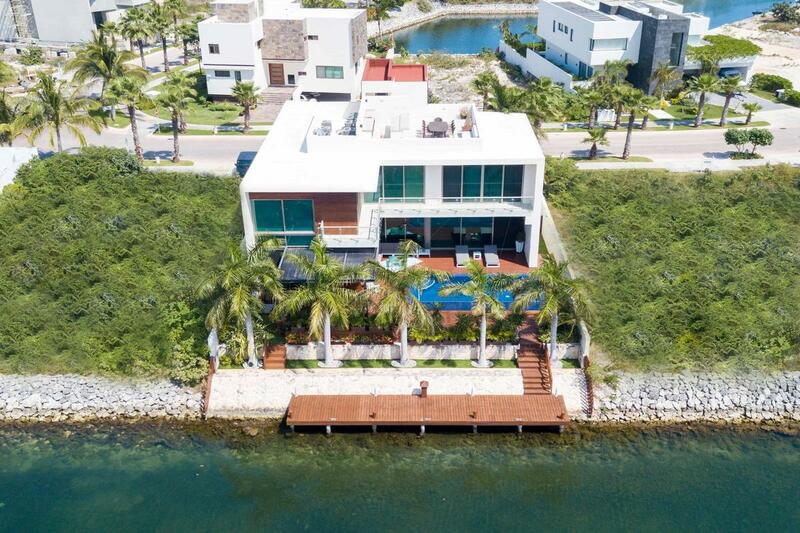 A 75 foot dock is right next to the terrace area. 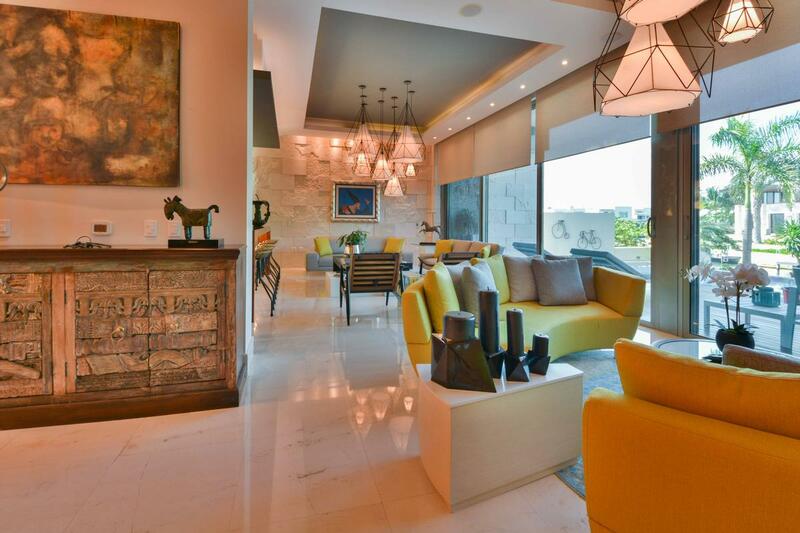 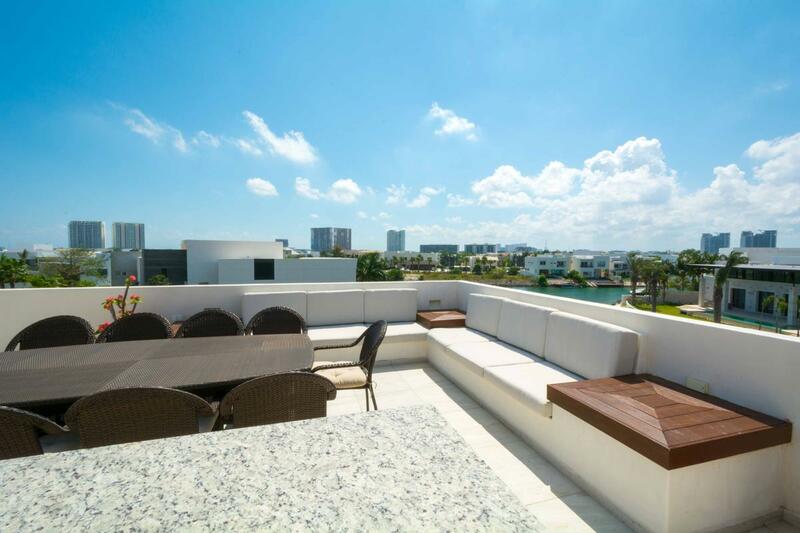 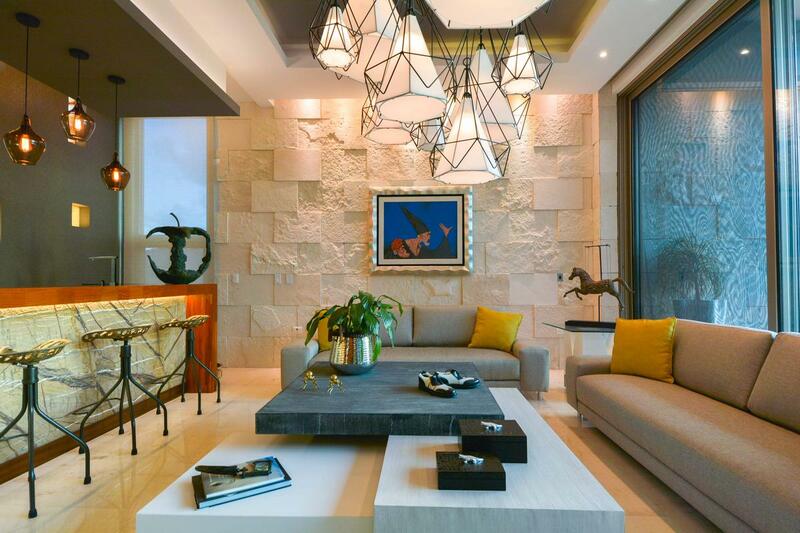 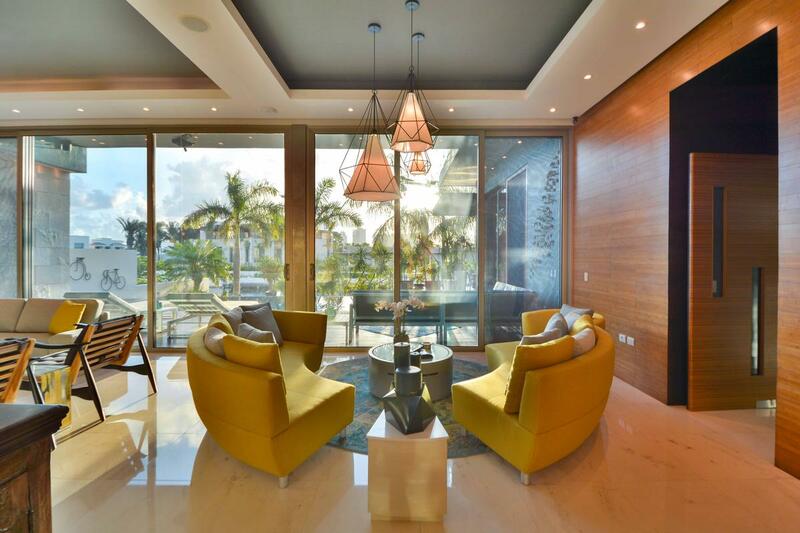 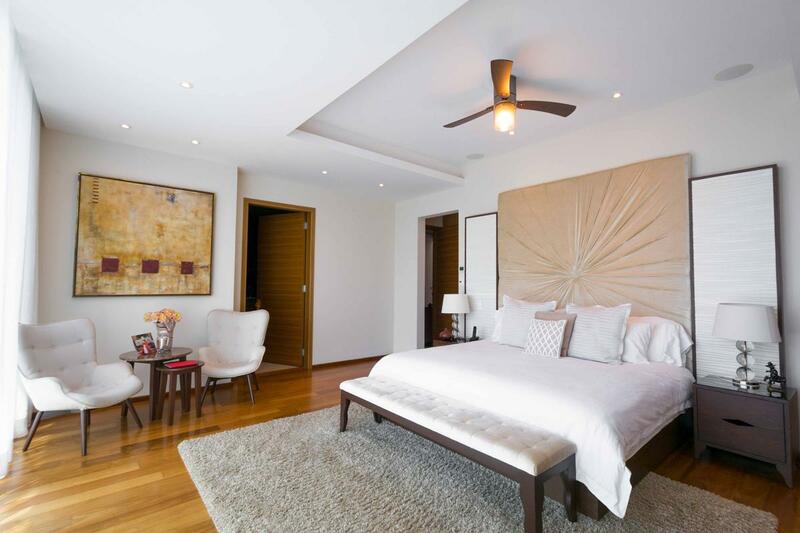 It is definitely worth to take a look at this property if you are looking for a luxury residence in Cancun.